Christa Clips Coupons in Flyers! 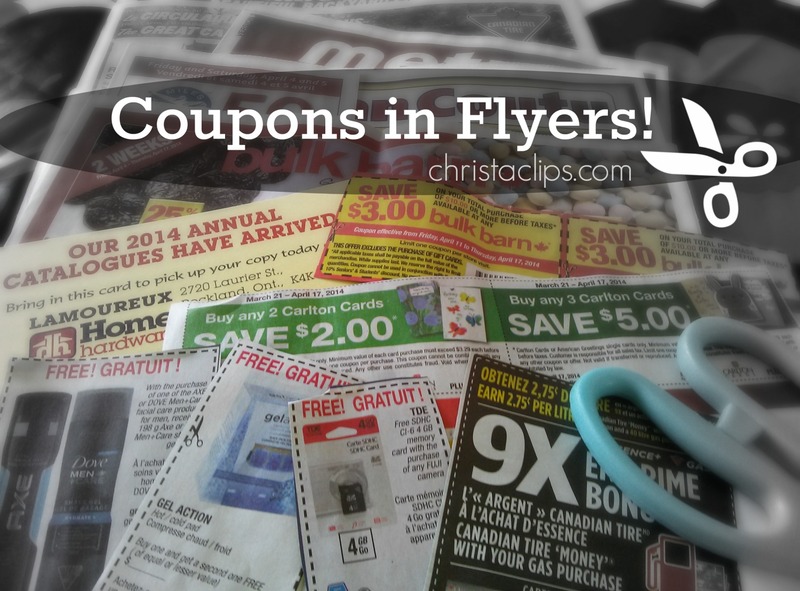 Flyers are another place to find coupons to clip. Christa Clips shares 3 Easy Steps to maximize your coupon savings! I’m often asked about where to find coupons to save on groceries. Now that I’m relying more and more on online flyers and mobile flyer apps, I have to remind myself to check my flyer bag for coupons to clip – there are often 5-10 coupons to clip each week. And while I may never redeem the coupons, I feel it’s worth the few extra minutes of my time to clip the coupons and have them handy as I’m building my shopping list or for when there’s an unadvertised or clearance sale while I’m out shopping. Redeem your coupon AND price-match your clipped price with Flipp at a store that price-matches and accepts competitor’s coupons. Mix + Match your flyer coupons while price-matching for Extreme Couponing Savings! Walmart is an example of a store that will permit you to price match a competitor’s sale price and use a competitor’s coupon. The stores don’t have to match each other, either! Don’t stop there … keep adding on more layers of savings! Posted on April 4, 2014, in Christa Clips, Couponing and tagged Checkout51, Christa Clips, Couponing in Canada, Flipp, How to Price Match in Canada, Where to find Coupons. Bookmark the permalink. Leave a comment.